World Refugee Day comes amid global outrage over U.S. immigration policy. Record high numbers of men, women and children were driven from their homes across the world last year due to war, violence and persecution, according to a new report by the United Nations' refugee agency. The UNHCR's annual "Global Trends" study found that a staggering 68.5 million people worldwide had been forcibly displaced by the end of 2017. Nearly a quarter of them were uprooted just last year, either for the first time or repeatedly. That's an average of one person displaced every two seconds of the day, the study says. "Now, more than ever, taking care of refugees must be a global –- and shared –- responsibility," Filippo Grandi, the U.N. high commissioner for refugees, said in a statement Wednesday. "It’s time to do things differently." "On World Refugee Day, it’s time to recognize their humanity in action -– and challenge ourselves, and others, to join them –- in receiving and supporting refugees in our schools, neighborhoods, and workplaces," he continued. "This is where solidarity starts –- with all of us." (Sandy Huffaker/Getty Images) Undocumented migrants wait for asylum hearings outside of the port of entry in Tijuana, Mexico, June 18, 2018. 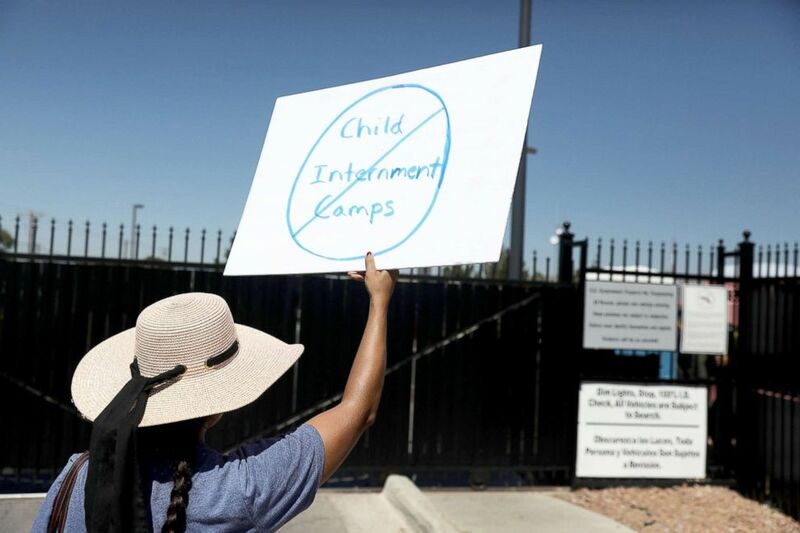 (Joe Raedle/Getty Images) Noelle Andrade and others protest the separation of children from their parents in front of the El Paso Processing Center, an immigration detention facility, at the Mexican border, June 19, 2018, in El Paso, Texas. 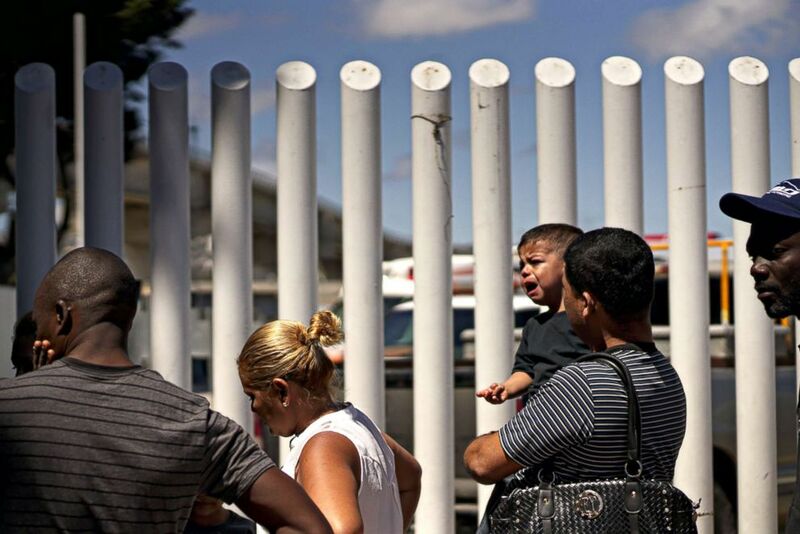 The report was published Tuesday ahead of World Refugee Day, amid global outrage over a "zero-tolerance" policy enacted by U.S. President Donald Trump that is forcibly separating immigrant children from their parents at the border with Mexico. Thousands of Central Americans are fleeing violence and poverty in their home countries -- including El Salvador, Guatemala and Honduras -- and are risking their lives to reach the United States. Zeid Ra'ad al-Hussein, the U.N. high commissioner for human rights, has described the immigration policy as "government-sanctioned child abuse" and urged the U.S. government to end the controversial practice. "In the past six weeks, nearly two thousand children have been forcibly separated from their parents," al-Hussein said in a statement Monday. "The thought that any State would seek to deter parents by inflicting such abuse on children is unconscionable." (B.K. 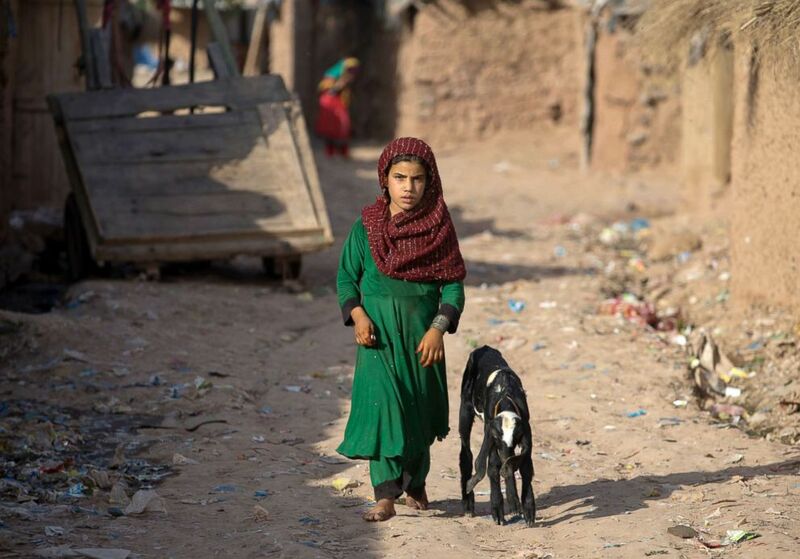 Bangash/AP) An girl from neighboring Afghanistan, who fled her village with her family due to war and famine, walks in a refugee camp in a suburb of Islamabad, Pakistan, June 19, 2018. 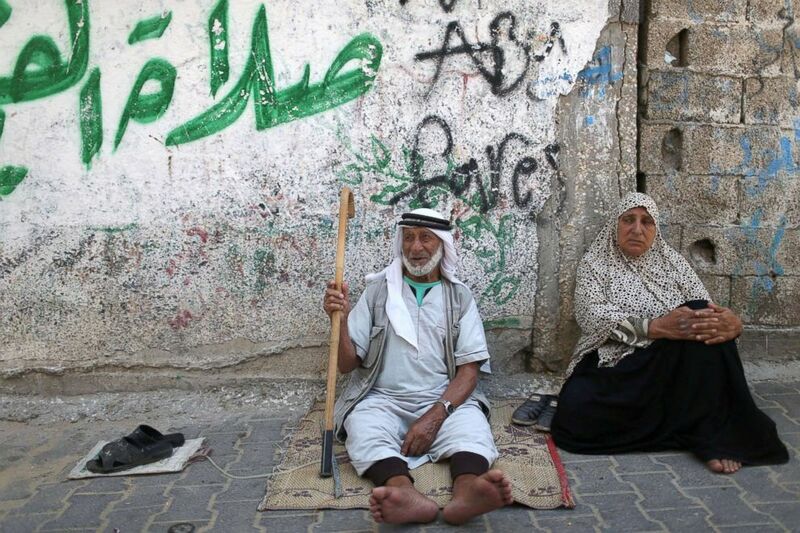 (Ibraheem Abu Mustafa/Reuters) Palestinians sit outside their house at Khan Younis refugee camp in the southern Gaza Strip, June 20, 2018. The global displacement figure for 2017 includes 25.4 million refugees who fled their countries to escape conflict and persecution, the study says. That's 2.9 million more refugees than the year before -- the steepest increase UNHCR has ever seen in a single year. "International responsibility-sharing for displaced people has utterly collapsed. Rich countries are building walls against families fleeing war, at the same time as less money is available for aid to people in conflict areas," Jan Egeland, secretary-general of the Norwegian Refugee Council, said in a statement Tuesday. 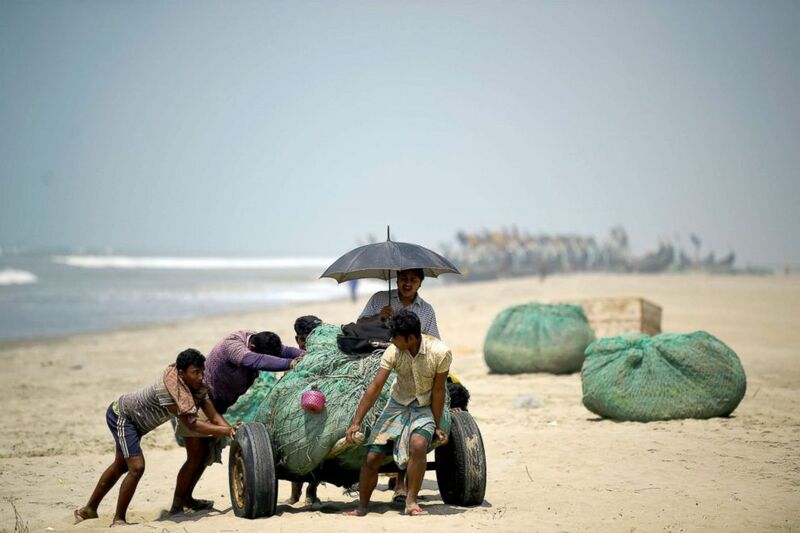 (Clodagh Kilcoyne/Reuters) Rohingya refugees push fishing nets along the beach on Shamlapur beach in Cox's Bazaar, Bangladesh, March 22, 2018. 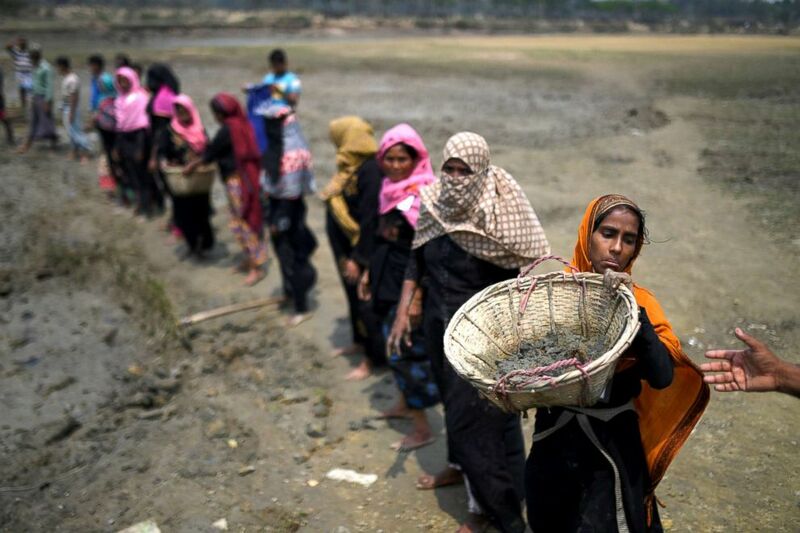 (Clodagh Kilcoyne/Reuters) Rohingya refugee women carry baskets of dried out mud from the riverbed to help raise the ground level of the camp in preparation for monsoon season in Shamlapur refugee camp in Cox's Bazaar, Bangladesh, March 24, 2018. Halfway through the fiscal year, the Trump administration has admitted less than a quarter of the 45,000 refugees it set as a cap -- already the lowest ceiling in the 43-year history of the U.S. Refugee Admissions Program -- with only 10,548 refugees allowed entry into the United States since October 1, 2017. In a statement marking World Refugee Day, U.S. Secretary of State Mike Pompeo emphasized that his government provides aid to crises that uproot people from their homes and that "new actors" must step up to the plate to address the rising number of displaced persons. "As global displacement has reached record levels, it is vital that new actors – including governments, international financial institutions, and the private sector – come to the table to assist in the global response to address it," Pompeo said in his statement Wednesday. "The United States will continue to be a world leader in providing humanitarian assistance and working to forge political solutions to the underlying conflicts that drive displacement." "The United States provides more humanitarian assistance than any other single country worldwide, including to refugees," he added. 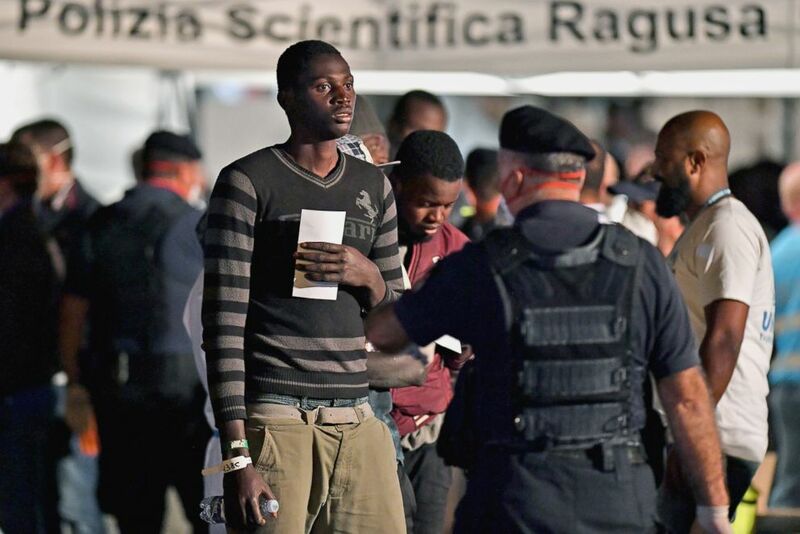 (Giovanni Isolino/AFP/Getty Images) A migrant is pictured after disembarking from the Italian Coast Guard vessel "Diciotti" at the port of Pozzallo, Sicily, June 19, 2018, following a rescue operation of migrants and refugees at sea. 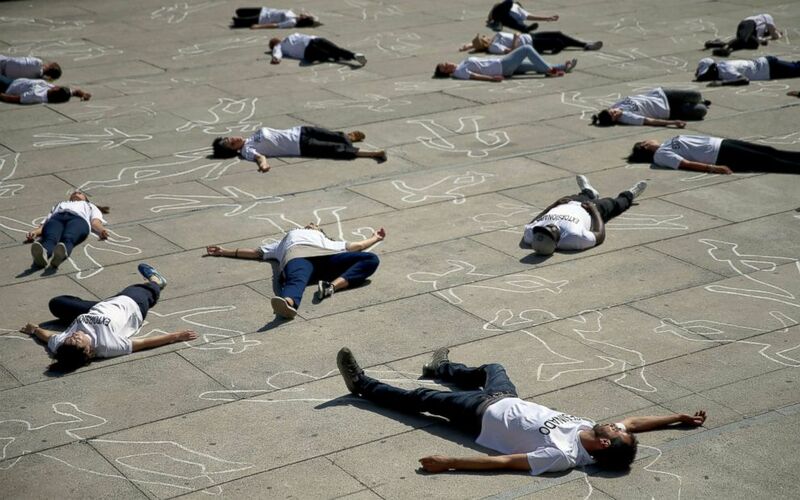 (Andrea Comas/AP) Activists lay on the ground to mark World Refugee Day during a protest in Madrid, June 20, 2018. The U.N. 1951 Refugee Convention defines a refugee as someone who is forced to leave their home due to "a well-founded fear of persecution." The persecution must be "because of his/her race, religion, nationality, membership in a particular social group, or political opinion," the treaty says. "Refugees are ordinary human beings who have been forced to flee their homes under the most extraordinary circumstances," Ryan Mace, grassroots advocacy and refugee specialist at Amnesty International, said in a statement Wednesday. "They all deserve to have their human rights respected, protected, and fulfilled." "Refugees bring so much to their communities, wherever they are," he continued. "They have innumerable skills, ideas, hopes, and dreams. Here in the U.S., we should be welcoming them into our communities with open arms and inviting them to our table, not building taller walls and implementing draconian policies meant to keep refugees and asylum seekers out." ABC News' Conor Finnegan and Lindsey Jacobson contributed to this report.